»Polyphony« is a wild and dramatic piece of crossover between classical music and rock, and I'm releasing it for the first time today on my new online music store in the best possible 320 kbps MP3 quality. This music defies genre with inspiration coming from both baroque and modern classical music, as well as symphonic and prog rock and metal. But if I have to put it in one box it could possibly be classified as "progressive rock" (But I'd prefer not to). Polyphony was great fun to compose, great fun to play, you simply must own it! 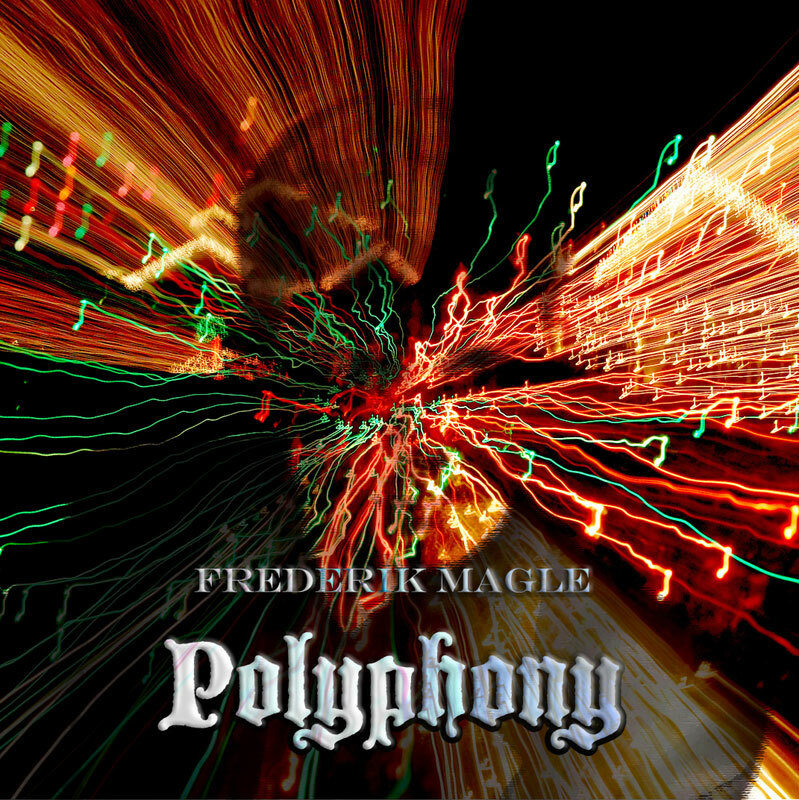 You can also buy "Polyphony" from the iTunes Music Store or Amazon.com MP3 Downloads and many other online music stores. A variety of instruments are heard in Polyphony, such as piano, organ, harpsichord, celesta/glockenspiel, various synthesizers and drums and percussion. The drums and percussion are played by the Danish rock drummer Niels Bonke. Guide to using the music store: Click on "Buy" below the tracks you wish to download. The tracks will be added to the "Cart". When ready to purchase click "Checkout", chose your payment method, fill out the form, and click "Approve" which will make a link to the music download(s) appear. Note to Mac-users: The MP3 download is 100% compatible with Macs and iPods. The only incompatibility on the music store is the 30-second sample, which currently does not work on a Mac (this will hopefully change soon). Instead you can download the sample linked above. I tried to buy Polyphony but the store was inoperative. I emailed the store and have been told it is closed. How do I buy any of your tracks? Yes, I just found out the shop is down. Thanks for letting me know. I've contacted the company behind the shop and they've promised it will be online again either today or tomorrow. I will post an update as soon as it is online again. Aside from that, Polyphony will also be available on iTunes (and other online stores) shortly. Thank you. I suggest Amazon and eMusic in addition to iTunes. Just heard back from the company, and they now say the store will be up and running tomorrow, the 17th. Unfortunately the store is still not up and running. I expect it will be tomorrow, but I can't make any guarantees here and now (it will be soon though, that's for sure). I'll post an announcement as soon as it is back online. It appears that your site does not accept Visa cards from the US, only European ones. I used a USA Visa card anyway, and the store said Purchase Completed and provided a download link, and also in red letters above that it said that the purchase failed. I received an emailed receipt from the store. I downloaded Polyphony but no media player on two different PCs will play it, the PC freezes and I have to reboot. That's very strange, could I ask of you to send me the MP3 file by email (I'll send you a PM with my email) so I can check it, and see what's wrong with it. I'll send you another copy of Polyphony. Thank you. I re-downloaded it with the process that the store provides, and that copy works fine. I'm glad it worked out. Thanks for buying "Polyphony"!